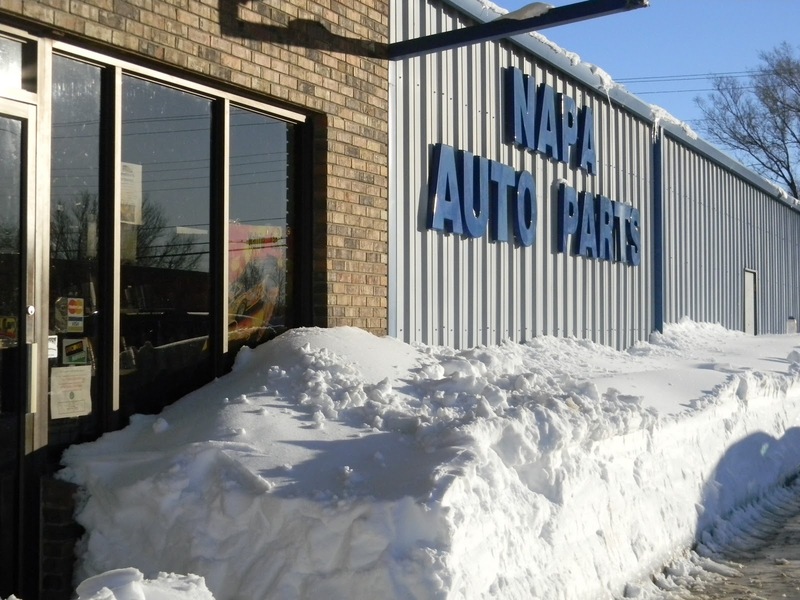 During the holidays, our business receives numerous gifts from vendors and customers. We received several burlap bags with peanuts. Well, with our employees, the peanuts didn’t last long, but the leftover bags were just too cute to toss. 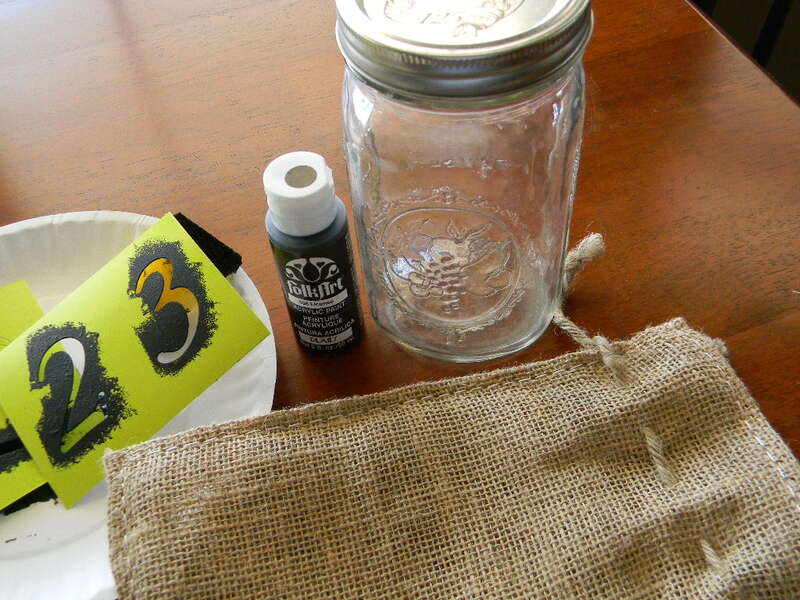 Sooooo, I took the bags, grabbed some mason jars, and stenciled on some numbers with black paint. Added some candles, stuck them on my mantel….and there ya go! I keep lots of candles on hand, and of course, mason jars for my famous dill pickles. Not bad for…well…um…FREE! Very cute…. love the numbers. I love this reuse of your burlap! LOVE this! I love all things burlap! Stopping by from craft-o-maniac monday! I love all things burlap and your project looks great! I just found you….I think from Jill….I just want to tell you that I love how you write and your quirky sense of humor. I love how creative you are Darcie and how you can make art from just a few ordinary things you have around you. Your candle holders are lovely and I just love your fireplace – all that beautiful stonework. Oh WOW, these look fantastic, Darcia!!! And I adore the numbers–how awesome!!! What a fabulous look, my friend! I hope you really enjoy the book–these women are super-charged, they're amazing!!! What a great repurpose. Newest follower! Sure like burlap. Nice job on the gift bags. 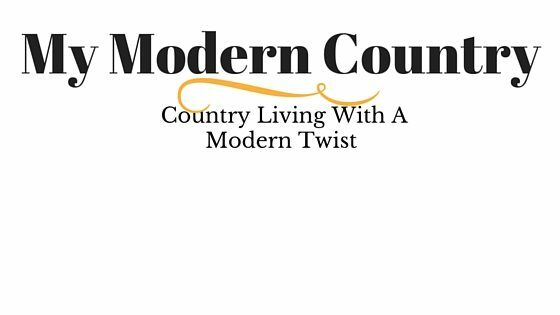 Thanks for following, I am following back and have added your blog to my blog list. Love all the different ways burlap is being re-purposed these days! 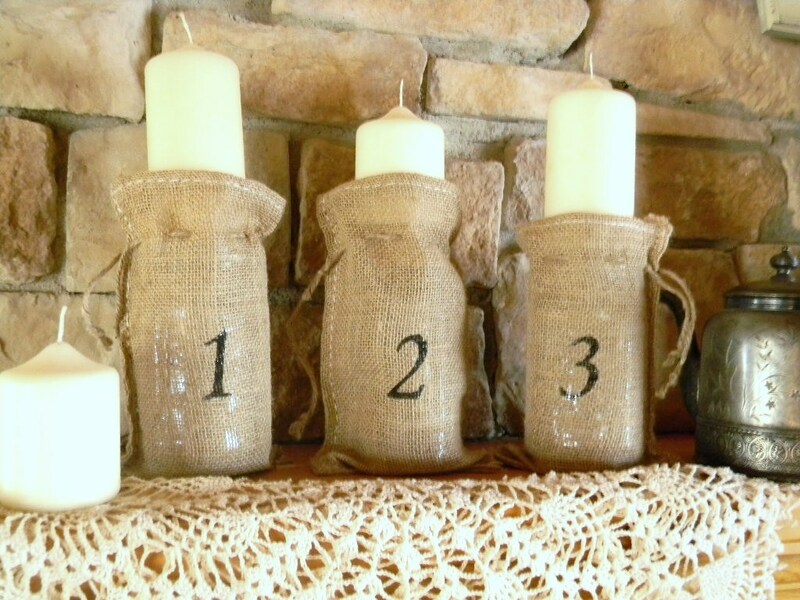 Cute use for burlap! So creative. 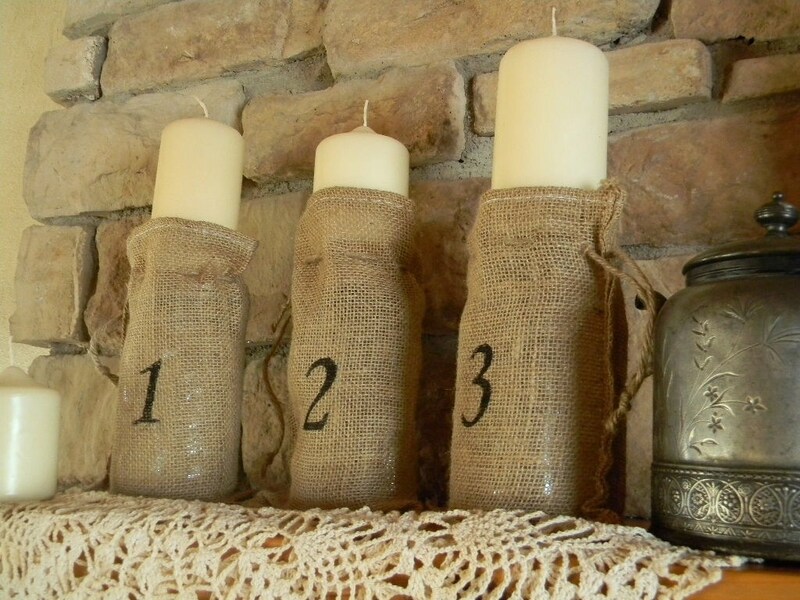 I like the burlap look, and what a great idea!